UPDATE: RAIN IS A COMING! Meandering low in North Carolina is FINALLY moving which is “bad” news for us. As the rain pushes north, it should be raining later tonight into tomorrow morning. 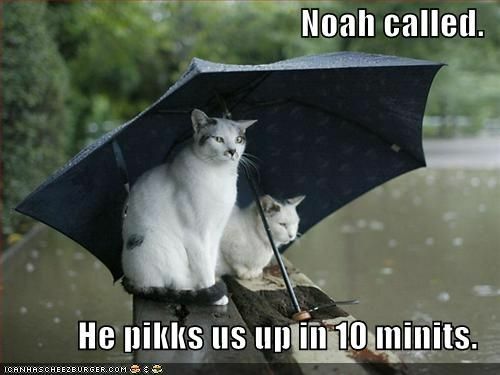 Perhaps as much as 1.5 of rain. So, it’s not going to be pretty. The reason it didn’t really rain today, but spotty showers here and there, is that low just never moved. It just spun around as a closed low. Well, that is going to change. Have a GREAT rainy day tomorrow :} !! Make it fun! UPDATE: TODAY IS BEAUTIFUL..TOMORROW IS “MEH”..TUESDAY IS “Blah”.. RAIN IS IN THE CARDS FOR THE EARLY PART OF THIS WEEK. Enjoy today! The tide will turn tomorrow afternoon as a low pressure develops from North Carolina and with the pace of a snail, rides a boundary off the coast. Rain should start sometime Monday afternoon after 2pm, or so (of course right around dismissal) then linger into Tuesday morning with your garden variety steady rain. This is not a drenching rain; however, there could be periods as the low meanders up off the coast for there to be a period of heavy showers. I’m on the conservative side of about an inch total for the two days, but some models show us at least getting 2. I’m leaning on about an inch. I’m on the low-end. After we get past Tuesday the sun takes back control of the week. We should see plenty of warmth increase over the next few days into next weekend. There is hope! Adios! It’s another wonderful day in the land of every kind of weather you can possibly imagine. From one look, you can probably summarize, we live in another time zone. It’s not to say we won’t see the sun in the next three or four days, but it will be hard to catch a glimpse. We are kind of stuck in this flow of west-east mini storms as a cold front passes us to the north, and a warm front is rushing at us from the south. So, we’re in the middle of neutral zone of weather systems that are bringing us moisture from the Gulf as well as the Atlantic. So, it will be some spotty to consistent showers. Steady showers probably will be more in the cards come Saturday night into Sunday. It will be interesting! Try to find a lot of good, indoor things to do this weekend! UPDATE: CONFLICTED..RAIN TONIGHT THROUGH SUNDAY…JUST NOT SURE HOW LONG AND HOW MUCH! Rain storms around here are like living in Florida anymore. It rains for like ten minutes and then the sun pops out. So, on a day when it was SUPPOSED to rain, it was beautiful. And 10 miles later from a bike ride, and migraine FREE I feel great today compared to yesterday! Longer Range for the next 45 days look like equal chances of warmer temperatures fighting cooler temperatures. WEEK SNAP VIDEO: A little rain here and there..Temps drop late in the week…Storminess returns next week as well as temperature ups and downs. Interesting Reading…We may be entering another El Nido year/Winter.